VENICE, RIALTO AND MAZZORBO Spices, fruits and vegetables from all over the world, fresh fish from our seas and more, this is the Rialto Market and you will visit it in the year of Expo 2015. Mazzorbo, guardian of one of the few vineyard of the lagoon: enjoy an exciting and exclusive lunch at the edge of the vines of Venissa La Serenissima Repubblica di Venezia caretaker for centuries of trade with all the known world. Spices, fruits and vegetables from all over th world, fresh fish from our seas and more, this is the Rialto market and these are main parts of the themes of Expo Milano 2015. Originally, "Rivoaltus" (the island where Rialto lies) was the port of the city and here until the eighteenth century were stored all the goods coming from the hinterland, from Northern Europe and the Far East. Rialto was also the place home of several courts of the Repubblica, they were responsible for the control of trade and the payment of taxes, the administration of justice was made here (and still it is today), the Bancogiro managed the money necessary for trade. In the 20th century the market changed its function from the wholesale market to the retail market, while keeping intact much of its structure. You will visit the places where Venezia wrote important pages of the history of the Serenissima Republica, you will enter the heart of the city market and know some of the "actors" of this wonderful show of colors and scents that every day opens its curtain. Savour the rite of "ombre" and "cicheti" that Venetians consume in the historic "bacari", the inns of Venice. After this beautiful tour you will embark on a fascinating trip to the lagoon in the north of Venice, the so called "Venezia nativa" because it seems that here came the first inhabitants of the lagoon. A route through the islands of San Michele, Murano, St. Erasmus, to finally arrive in Mazzorbo. The island, remains the guardian of one of the few vineyards present, intact, in the lagoon. You'll enjoy a guided tour of the estate Venissa and you will have the opportunity to taste the precious wine produced from the vines in front of you. Enjoy a delicious and exclusive lunch of typical dishes of the traditional lagoon, combined with a special selection of wines, curated by Mauro, Venice and wine. At the conclusion of this unique experience, an exciting walk immersed in the colors of Burano, a unique place, before returning to the city of Venezia, town of Expo. Around 1.00 pm Arrival in Mazzorbo island north of the Venice Lagoon. Tasting lunch in the restaurant of the estate. Guided tour of the Estate Venissa ancient and unique convent with vineyard in the middle of the lagoon and a short tour of Burano. Mauro, Venice and wine is the travel, food and wine reference in Venice and Veneto region. Discover so much beauty, in a breathtaking tour: beautiful scenery, rich in history, art and culture, but also delicious tables, local delicacies, flavors and rituals. We design and manage thematic tours about food, wine, history of art and architectural history. We travel throughout the Veneto region cooperating with the best travel agencies. My name is Mauro Businaro. From the mid '80s, during high school I started working in bars and restaurants. In October 1998 I started to attend courses AIS (Italian Sommelier Association) and I graduated Sommelier (1 '2' 3' level) in January 2000. Over the last 10 years I have managed restaurants and wine bars and, at the same time, I organized food events and tasting lessons. My work is a constant research and updating because telling stories of wine and food it means to accompany our listeners in the territory of the emotions: passion and experience are essential elements. In my continuous training path, in 2012 I started the study of cultural heritage at the degree course DAMS (Disciplines of the arts, music and entertainment) of the University of Padua. 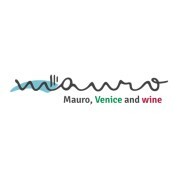 In February 2014 born Mauro, Venice and wine, the brand of Venice and Wine, which provides travel products, designing and managing travels in the thematic areas of food, wine, history of art and architectural history. Our travel programs last from half a day to several days, making use of specialized teams in each theme.